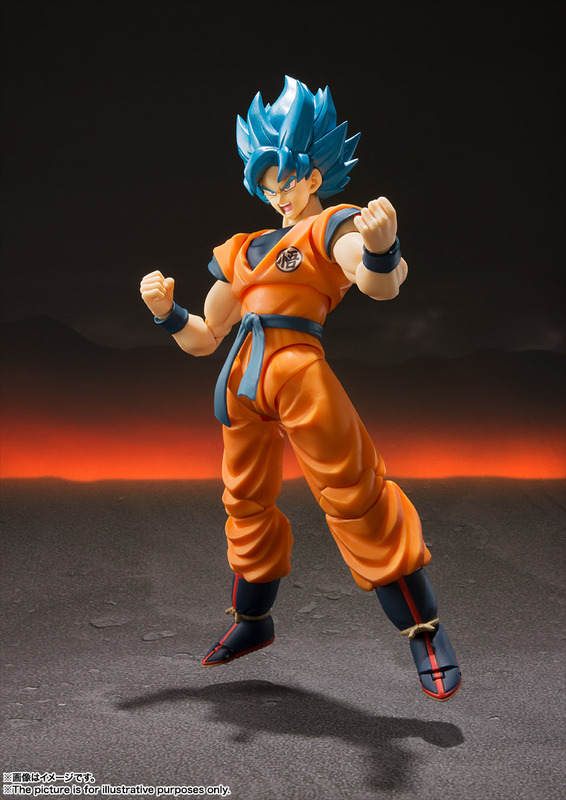 Finally the long-awaited Super Saiyan God SUPER SAIYAN GOKU – Super appeared at a special price! 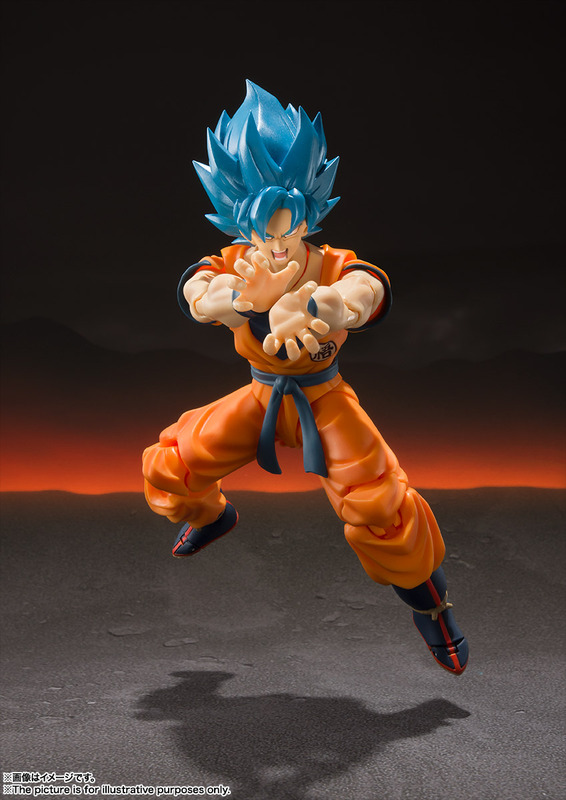 From the big hit movie “Dragon Ball Super (Super) BROLY ” which broke the box office income 3.3 billion yen (as of January 7, 2019) in the series, finally the character of the leading character Son Goku blue condition “Super Saiyan God Super Saiyan Son Goku” appears! Only one, absolutely the leading character character Goku appeared! 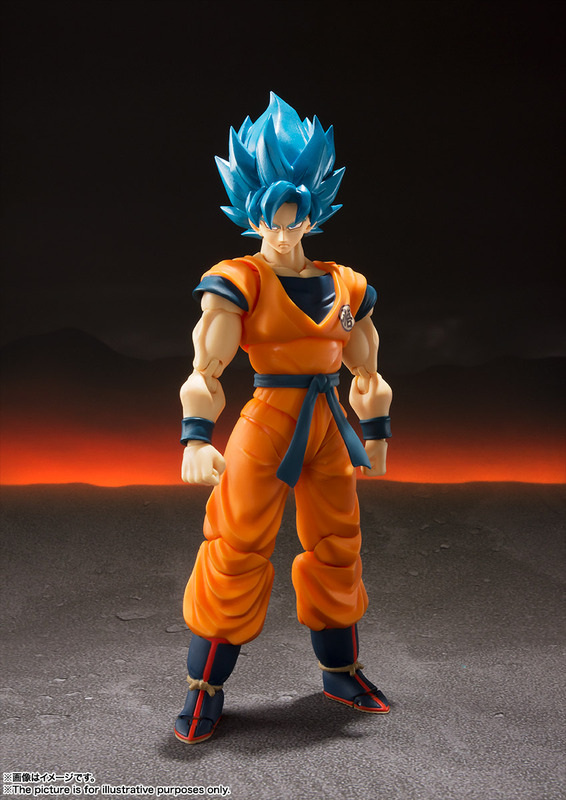 Super Saiyan who is also active in the TV version “Dragon Ball Super” God Super Saiyan Son Goku is a character you want to line up with any character! The royal road! 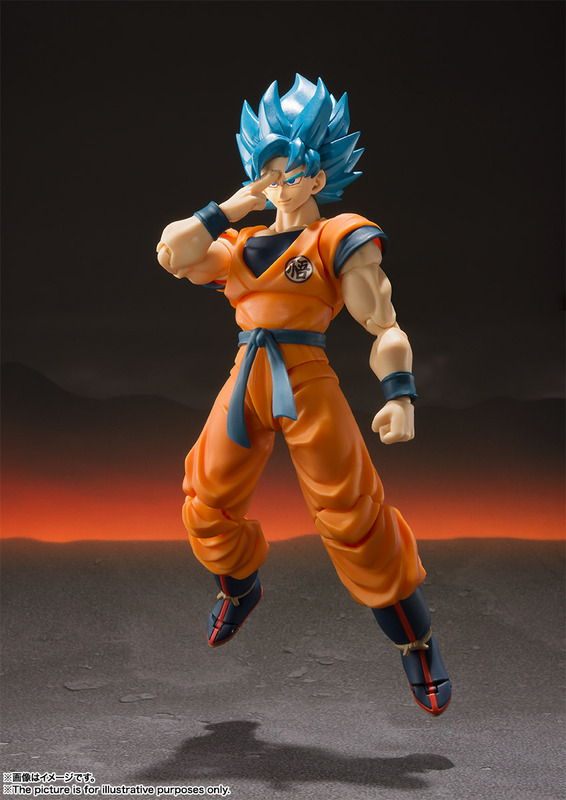 With the wrist parts for the Kamehame Wave, the ultimate pose can be reproduced! 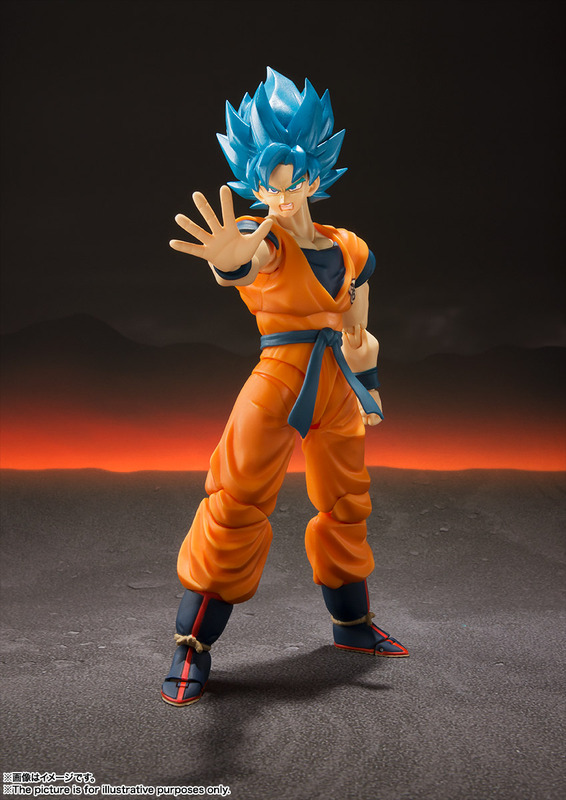 The new Goku figure will be priced at 4,104 Yen (about $38 USD). 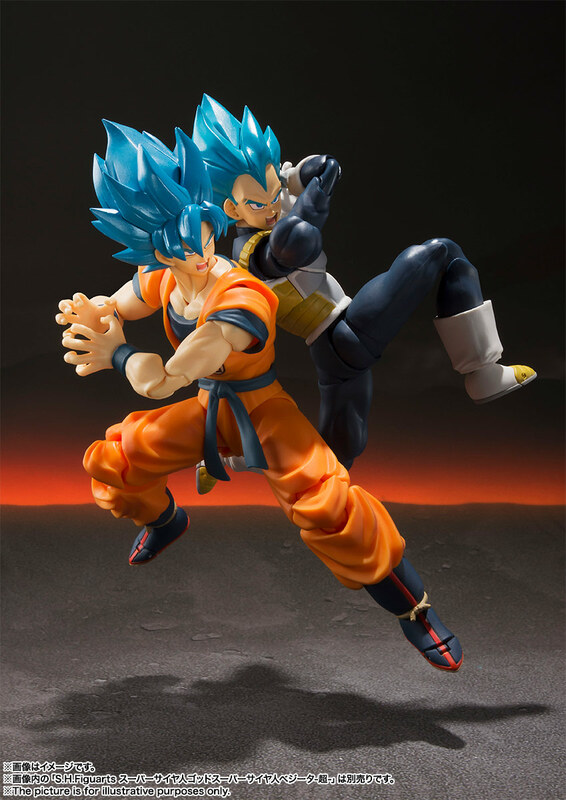 Pre-orders begin today via Tamashii Nations. It’s currently scheduled for a July 2019 release in Japan. Check out the new photos by clicking the headline of the story. Where is the preorder link? I'm looking for it and I dont see where to preorder it anywhere in the website. 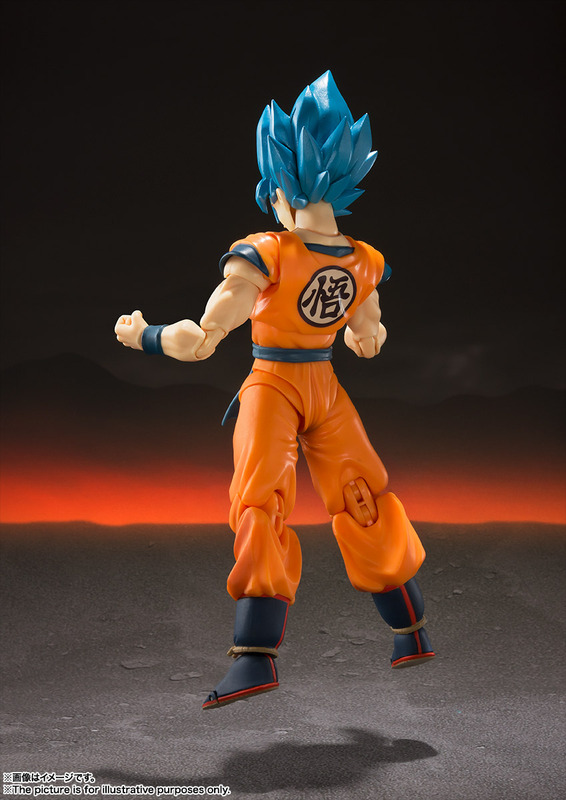 I hope they flood the market with him, just like they did with the Goku: Saiyan Raised on Earth figure. That one is still available for $35 nearly everywhere. Incidentally a question for the site, why do not they also mention the releases of Figma, Figure Rise, Max Factory, Good Smile and Sentinel? We don't cover most anime release items simply because I'm not much of an anime fan (I am essentially the news staff). 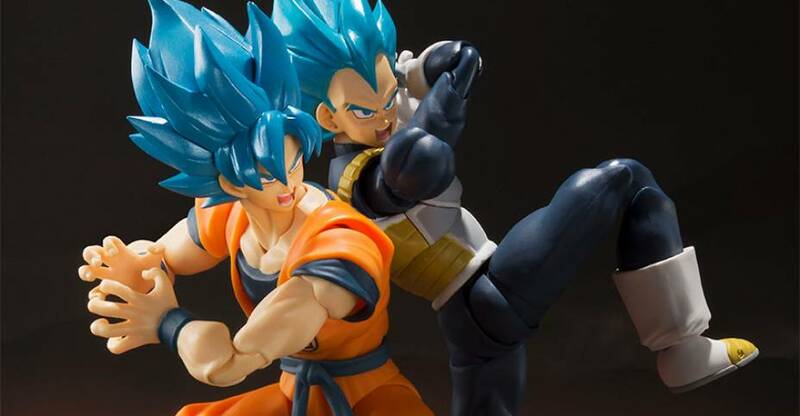 The only Dragon Ball we cover regularly is SH Figuarts. Outside of that, not interested really. But we do regularly cover Figma (movie, video games, western licenses), Good Smile (Figma and soem statues), Sentinel (Marvel licenses), Max Factory (via good Smile). Not likely. It's a general sale item. Anywhere that sells Japanese Tamashii Nations releases (Amiami, HLJ, etc.) should have it available beginning today. Added HLJ & Amazon Japan pre-order links to the story. Doesn't Tokunation cover all those other figure releases anyway? I guess after visiting here a while I kind of expect which licenses will be covered. They cover anything Tokustatsu. Stuff like Kamen Rider, Power Rangers, Sentai, etc. But not general anime. Thanks, yeah. He sold out on HLJ and AmiAmi. Cant receive orders from Amazon Japan here in the US. sorry to hear that. He'll eventually get a US release from Bluefin, if that's any consolation. Wow thanks a lot for the heads up, awesome. This figure is great. I'm we eventually get a Broly in his Normal/Wrath/Super Saiyan states, and not just his armor-less Full Power state which we only see briefly anyway. Figure looks great. Im kind of tempted to get him and vegeta but im goinh to pass. I keep telling myself they are jusy simply diffrent colored variants of the same super saiyan mold. Lol. Ill wait for Super Saiyan 4's and ultimately whatever new form the series might introduce down the line. Hopefully its just not a recolor and a brand new form.